Nonprofits have a unique challenge of not only spreading the news of their causes, but also igniting hearts and minds. If you have experience with a nonprofit organization, or are working to grow your own, what is your single best strategy for earning brand recognition/trust AND raising funds to advance your cause? My thanks to Sheryl Hill of ClearCauseFoundation.org for recommending this question, and to all our great contributors for sharing so many outstanding strategies! If you are a nonprofit looking to sharpen your competitive edge or a new organization working hard to gain traction, I hope that you will find some helpful and profitable strategies below. If you have questions, or comments please feel free to add them to this post. Enjoy! A nonprofit won’t be able to raise funds to advance the cause to which it’s dedicated unless its leaders can inspire trust and emotional connection with current and prospective stakeholders. In my view, the best strategy is three-pronged: 1) Stick to the core mission, 2) Be continuously visible to stakeholders and transparent about operations, and 3) Consistently tell the organization’s story and report its successes. The most important concept to realize when working to earn brand recognition and trust is to understand your audience and cultivate your brand to find where your cause intersects with your audience’s values and realities. For those who work directly with their audience, just ask them what’s important to them, what drives them, what appeals to them. Online registrations for email updates or events, donation forms and call centers are great places to insert a question or two. A nonprofit on Facebook or Twitter, post/tweet questions or simply pay attention to what your audience is saying, liking, tweeting, etc. on social media platforms. For those without direct access to their audience(s), primary research (via focus groups or online surveys) can provide nonprofits with very valuable, specific information about what their audiences think of their organization/cause, what makes them tick and where to reach them. Nonprofits can administer surveys online with tools like Survey Monkey, but they should consult a professional to develop (or at least provide feedback on) survey questions and conduct focus groups or interview. People like to know that organizations care about what they think, so tell your audience what you’ve learned from them and what your organization is going to do about it to make what you do more relevant and valuable to them. Many of my clients are non-profits. One of the things that I advise non-profits to do is to send out a consistent newsletter talking about the things that you are doing in an area and putting information as a resource to your target market. Build a potential client base by using that monthly e-mail to let your consumers know what is going on in the agency (i.e. new services, opening up a new site, your mission statement), and ask them to forward your newsletter to people they feel might be interested. The newsletter should connect the dots back to your website, social media pages etc. I work with many non-profits — each of which faces an unending loop of fundraising projects. If non-profits can reach into the deepest pockets around and extract dollars, they will not only be raising much-needed monies, but they might easily find an accidental spokesperson or advocate in the donor. Rather than invite just friends and family to events, we try to get the community/financial leaders to participate. We do a “soft sell,” too, when we ask them to “sell” the work of the non-profit to their circle of friends/business associates. Prior to launching my business, I used to be the National President of a Men’s Fraternity (nonprofit), and there were two ways in which we used to increase funds. First, we would work to increase our membership nationwide, as additional funds were collected annually with every new brother. Secondly, we would work to make our graduating brothers and alumni more successful, so that they could contribute back to the fraternity in the future. For recognition, we adopted a national philanthropy (AIDS) and created a foundation to support it, which got us lots of good will. Additionally, we created a professional step team that tours the U.S. giving performances, and gets us incredible notoriety. Constantly reminding the public of what’s broken or wrong, without soothing the hurt, damages the good intentions of any nonprofit – in a heartbeat. Getting third-party objective expertise to tell your ‘simple truth’ with grace and grit helps expand your reach – particularly when a passionate nonprofit is engaged in harsh realities every day. Rely on pros. It’s much easier to raise funds in a community where you have established trust & accountability. Just ask. A heartfelt letter friend to friend, parent to parent, or business to business is a powerful thing. I remind myself every day that small acts create big change; every inch is progress. Kudos to #RedSnappa #PurpleFeather #Buzzledom #ThreeGirlsMedia #BeYou and #DragonflyEffect for these nonprofit life lessons. Take on service projects that are bigger than you think you can handle – then get people from the community involved. It is a great way to expose the right people to your nonprofit or cause, and it is also a great method for getting more members. Make it fun and get involved! I am president of the French non-profit association Les Amis de Beauford Delaney. In 2010, we raised money to place a tombstone at the unmarked grave of American painter Beauford Delaney at Thiais Cemetery outside Paris. To build credibility for the organization, to create empathy for and educate people about Beauford, and to raise the money required for the stone, the only tool that I used was a blog (http://lesamisdebeauforddelaney.blogspot.com). As I published postings on the logistics of forming an official French non-profit and stories about Beauford’s life and art, I added the names of donors to the sidebar. I also posted before and after photos of the gravesite. I programmed the blog to automatically feed postings to my Facebook page, which, in turn, feeds them to Twitter. Passion is great in a nonprofit, but it only takes you so far. Do not believe that everyone will “get” your vision, so half your job is to clearly articulate what you do, how you do, WHY you do it, and most important, how many will benefit from your efforts. The first step is to understand your mission. We work with many that don’t and most are what we call “shoebox nonprofits,” with no ED or working for free. Sound familiar? It may fit you or some you know. We offer a Revenue Strategic Plan (RSP), like a business plan in the for-profit world. It incorporates your mission, vision, Board, finances, and expected outcomes. This tool will separate you from 90% of all your competitors. When Foundations see that you understand yourself and your organization, they will buy into your mission. In my opinion, the best strategy to grow a nonprofit is to apply for Google Grants (http://www.google.com/grants/). The organization will receive US$10,000 to spend on Google Adwords every month if it gets approved. This can be very useful to attract more attention to the organization. The ads will increase awareness about the organization and will bring visitors to its website. These visitors will eventually become donors or volunteers. In short, Google Grants is a free way for nonprofits to get thousands of visitors to their website every month! I represented an obscure genetic syndrome that only a small number of people in the US have. Since one has to be born with it and can’t catch it, and except for a very tiny fraction of this group, no one dies from it, igniting hearts and wallets was kind of a tough sell. As this was not a public health or environmental threat, finding understanding and compassion outside the patient community presented a challenge. By reducing focus on the aspects of the syndrome that distinguish these folks, and focusing on the parts of having the syndrome that everyone shares (debilitating pain, isolation, fear and an uncertain future), we were able to bridge that gap. Putting the need in the context of universal human hurt helped overcome the distinctions and emphasize caring for all suffering. * Do not cross the line between your day job and your nonprofit, if your nonprofit becomes a sales feeder for your day job, then you and your nonprofit lose credibility. * Do not put sponsors on your advisory board or board of directors, it’s very easy for the mission to be hijacked and organization looses credibility. * Run it like a business, good non-profits are profitable. * Be humble, you will get lots of kudos for what you do, don’t let it go to your head. * Do treat your sponsors and the people who you’re trying to help with at least the same amount of courtesy and respect that you’d treat a paying customer. * Do build an identity for yourself that is associated strictly with the nonprofit, have a separate business card, website, bank account, and even do separate networking. 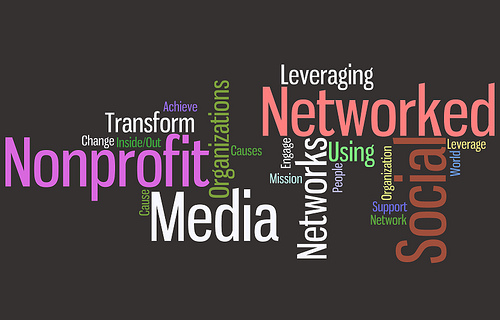 I coach non-profits to utilize the media to share their story. Whether it’s a newspaper story, a piece on the 10 o’clock news, or a write-up in a local or national publication, it can contribute significantly to building the brand you want. First of all, it has significantly more credibility because it is being told by a third-party. As well, it differentiates you and establishes you as an expert in the field and worthy of media exposure. But, don’t miss out by only getting that piece in front of only the random group of people who are the audience of that medium. Spread the word that you were featured — via email, a special mailing, links on Facebook , Twitter and your website. This can help build the brand in the minds of your staff, volunteers, donors and more. Thanks so much again to all our wonderful contributors for sharing your best business growth strategies for nonprofits! We hope to hear from you again. This entry was written by Dr. Shannon Reece, posted on October 3, 2011 at 5:00 am, filed under Question of the Week and tagged business growth, growth strategies for business, nonprofit, not for profit, question of the week. Bookmark the permalink. Follow any comments here with the RSS feed for this post. Post a comment or leave a trackback: Trackback URL. @Dr Shannon Reece – so many valuable gems in this blog. I am so grateful. TY! Printing it out and building relationships with the brilliant contributors. FYI – Google Grants – like Facebook Causes – requires Guidestar listings. The IRS is months behind (6+) on letters of determination for tax exempt status. We faxed our LOD to Guidestar and anxiously await listing to take advantage of Google Grants and Facebook Causes. It makes for a long road to fundraising for new NPOs. @NPD No one works for free – time is money, a huge commitment and valuable. Most start-up nonprofits rely on the time and talent of like-minded individuals and organizations as they start-up. Let’s talk soon! Here’s to good works for nonprofits – we are stronger together. thanks so much for sharing your experience. it sounds like fantastic way to pursue extra funding for your start up. Thanks for the tip on Google Grants. I had not heard about that program before and I know several non-profits that could be taking advantage of it. I will forward this post to them.